Pigeon Forge or Gatlinburg – Where Should I Stay? Blog Home : Category Posts : Pigeon Forge Vs. Gatlinburg | Which is Better? Planning a vacation to the Smoky Mountains? We know it can be hard to figure out the best places and stay during your vacation. To get the most out of your getaway, check out our guide that compares Pigeon Forge and Gatlinburg to find which is better for your trip! Closer To the National Park – Gatlinburg is located just outside of the park boundary, while Pigeon Forge is a few miles drive away from park entrances. If you want to spend as much time in the Smokies as possible, this gateway to the national park might be your best place to stay. Additionally, the most popular areas of the park like Newfound Gap and Clingmans Dome are especially close to Gatlinburg. Hiking trails to famous sights like Grotto Falls, the Chimneys, and Mt. LeConte are within easy reach. On the other hand, Pigeon Forge is closer to parts of the national park like Cades Cove and Tremont. Great Downtown Area – This charming mountain town is a perfect for strolling and finding attractions. Overall, Gatlinburg is more compact than Pigeon Forge, which creates a more pedestrian friendly area. There are some downsides to being in a smaller valley. Since there's not much open space or alternative routes, this mountain town tends to get more crowded than Pigeon Forge. Beautiful Mountain Views – Gatlinburg is located at the foot of some of the most picturesque mountains in the country. As a result, there's a lot of ways to appreciate the great scenery like taking a trip up to the Space Needle or driving to overlooks on the Gatlinburg Bypass. Tons of Attractions – From the Dixie Stampede Dinner Show to indoor sky diving, there's no shortage of things to do in Pigeon Forge. The action-packed Parkway is home to excellent shopping at Tanger Outlets and some famous specialty stores like the Smoky Mountain Knife Works. Pigeon Forge is particularly known for its huge variety of dinner shows and music revue theaters like the Hatfield & McCoy Dinner Show and the Smoky Mountain Opry. Gatlinburg, for its part, does offer the Sweet Fanny Adams Theater and several magic & illusion shows in the Iris Theater. The Island is definitely Pigeon Forge's answer to Gatlinburg's pedestrian-friendly areas. This great entertainment and shopping area complete with a beautiful synchronized fountain show and plenty of outside dining space. Though much of Pigeon Forge is mile after mile of exciting attractions, delicious restaurants, and great shopping, you can always step back to a simpler time at The Old Mill. This historic grist mill was first built in the 1830s and is still in operation today. You can tour this historic building in the heart of Pigeon Forge and enjoy a dinner at the popular Old Mill Restaurant. Lastly, it's hard to beat Dollywood, a family-friendly theme park founded by country music star Dolly Parton. With 40 rides & roller coasters, great music shows, authentic local crafts, delicious food, and true country hospitality, its no wander Dollywood is one of the best-reviewed theme parks in the nation. It’s clear that these Smoky Mountain towns have a lot to offer. But really, should you stay in Pigeon Forge or Gatlinburg? The answer really depends on whether you're planning a family vacation or a fun getaway with friends. Pigeon Forge has a great reputation as a family destination. There are more attractions for kids like go karts, laser tag, and trampoline parks. With restaurants and shops around every corner, Pigeon Forge is a convenient place for families to vacation. Additionally, attractions like Dollywood and Wonderworks are a huge hit with children. While Gatlinburg has its share of kid-friendly attractions like Ripley's Aquarium of the Smokies, it has more of the feel of an adult playground. After all, there are numerous moonshine distilleries and wineries that offer visitors the chance to try a local beverage. 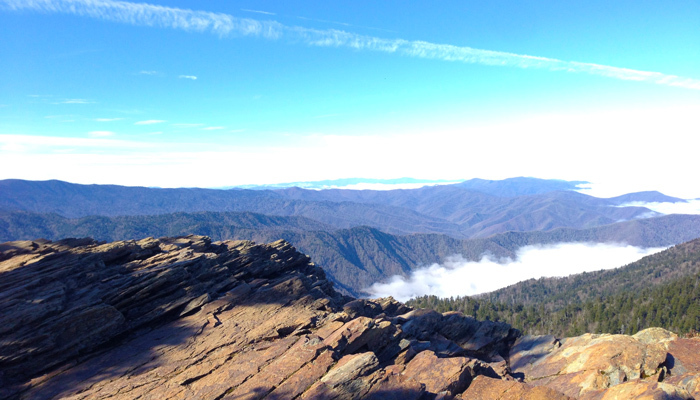 Additionally, Gatlinburg is a hikers paradise with hundreds of miles of trails only a short trip away. There are also adventure activities like horseback riding, zip lines, and whitewater rafting that attract a lot of adults to the area. Another consideration is that Gatlinburg can be somewhat crowded. For this reason, it could be difficult to move a stroller through Gatlinburg on a busy day. Luckily, Gatlinburg and Pigeon Forge are only 4 miles away from each other. No matter where you choose to rent your cabin, you'll be close to the best sights in the Smokies. Overall, there aren't many differences in the kinds of cabins you can find in Pigeon Forge, Sevierville, or Gatlinburg. Firstly, cabins in the Smokies look amazing. They have beautiful mountain views and gorgeous log exteriors. Inside, you'll find luxury amenities like hot tubs, game rooms, theater rooms, and even private indoor pools. Of course, there are also other areas to stay in the Smoky Mountains like Wears Valley and Sevierville. You can check out our complete guide on the best places to stay in the Smokies! We'd love to hear your thoughts in our comments section: where do you stand on the Pigeon Forge vs. Gatlinburg debate? Which town is your favorite place in the Smoky Mountains? 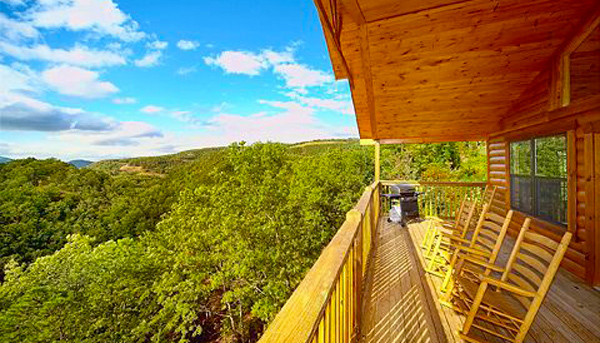 Don't forget: Cabins USA offers all of its cabins with a special 15% discount to help you save on your vacation in the Smokies no matter where you stay!